There is something for everyone at North West Adventure. Our centre is ideally located in Ballinafad, Co. Sligo near many lakes, rivers, woodlands and mountains, perfect for all our outdoor adventures. Book your Hen or Stag party with Northwest Adventure. White water rafting is the most popular activity. You can choose from a wide variety of adventure activities for your group. 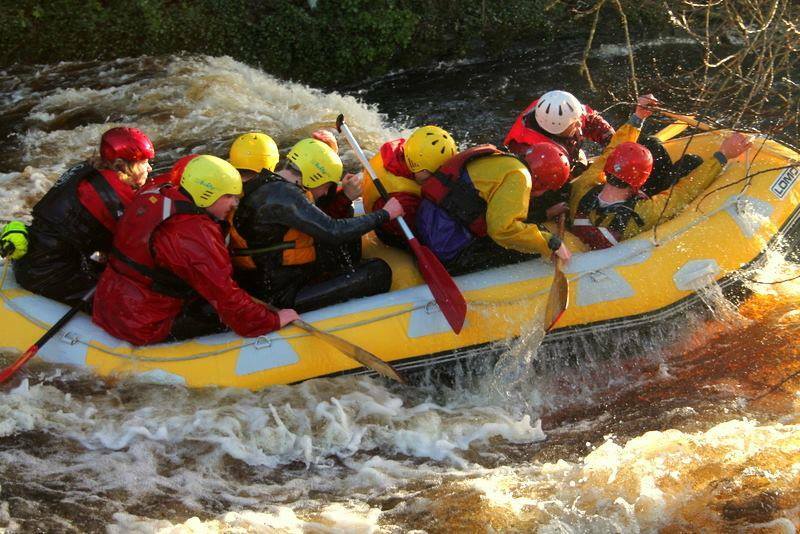 If you do not fancy white water rafting! canoeing, kayaking, rock climbing and abseiling are other options. North West Adventure have 10 years experience running corporate team building programs and they will design a fun, challenging and motivating team building program to suit your team. The Team Building Program usually takes place in Lough Key Forest Park, a beautiful location surrounded by water and woodland. Northwest Adventure can design an adventure to suit your school. There is so much to choose from, there is a wide range of water activities like white water rafting, canoeing and kayaking. If you would rather stay on land, you can go orienteering, trekking, explore ancient megalithic tombs, delve into the heart of a cave or camp on a wilderness island.